Six suspected Jewish extremists were arrested today in connection with the brutal killing of Jerusalem teenager Muhammed Abu Khdeir. (There are some media reports saying three have since been cleared of involvement and released, although this has not been confirmed.) The suspects are, for the most part, not West Bank settlers. They are from Beit Shemesh (in central Israel), Jerusalem and Adam (a West Bank settlement near Jerusalem). If they are guilty, they should of course face the full force of the law. Let’s hope Barack Obama, John Kerry and European Union officials, as well as the Ha’aretz newspaper, don’t insist on their early release, as they have (wrongly) done with so many Palestinian murderers of Jews. Israel, of course, will not pay generous monthly sums of money to Jewish murderers of Muhammed, as the Palestinian Authority pays to Palestinian killers of Jews – using U.S. and European taxpayers funds to do so. Nor will any Israeli president hug and embrace convicted Jewish killers and congratulate them and call the heroes, as Palestinian President Mahmoud Abbas has repeatedly done in the case of murderers of Jews, for example, Samir Kuntar who bludgeoned a four-year-old Israeli girl’s head in with a rock. Commentators in the Western media that I have heard, have failed to note that no arrests have been made for the murder of the three Israeli teenagers three weeks ago, but Israel has arrested suspects for the murder of the Palestinian teenager a few days ago. It has, of course, been much harder for the police to find the Palestinian killers of Jews because they are given protection, money and places to hide by many in their community whereas there is, to my knowledge, no Jewish community that would protect murderers such as those who may have killed Muhammed. 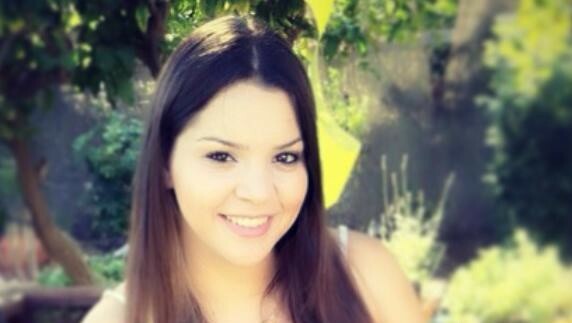 Today, police in northern Israel announced that Arab taxi driver Yousef Hussein Halifa has admitted to murdering a 20-year-old Israeli girl, Shelly Dadon, from the northern Israeli town of Afula, because she was a Jew. (The murder took place a month ago but the confession was made today.) Dadon had got into the taxi to go for a job interview, and has been described as a particularly sweet girl. She was viciously attacked and stabbed 17 times. The international media has gone into overdrive to paint Israel in a critical light concerning the murder of Muhammed. The BBC, for instance, has rushed extra correspondents to Israel from as far afield as Istanbul and Paris to add to the many correspondents they already have there. And earlier today, for example, there were five stories critical of Israel on the CNN home page alone. Yet I have yet to see a single reference in the international media to today’s news about the arrest of the murderer of Shelly Dadon. Israeli officials as well as Jewish organizations outside Israel have been unanimous in strongly condemning the killing of Muhammed Abu Khdeir. Indeed several have even called for the death penalty to be applied to the Jewish extremists, if convicted. “We don’t distinguish between terror and terror, and will deal severely with both. I don’t distinguish between incitement and incitement in the state of Israel. Just as I condemn with all my strength cries of ‘death to the Jews,’ I condemn cries of ‘death to the Arabs.’ When I heard about the Israeli student, who, after the murder [of the Jewish teens] wrote on the Internet, ‘3-0 to the Palestinians, and we’re not even in the World Cup,’ I was shaken by the evil [in the statement]. Economy Minister Naftali Bennett of the right-wing Jewish Home party said that the murderers of Palestinian teen Muhammad Abu Khdeir should be treated like terrorists. “Abu Khdeir’s murder is a heinous act that is anti-moral and anti-Jewish,” Bennett said. If only the leaders of Fatah and Hamas and their supporters in the West would make similar pronouncements, we might be closer to Palestinian-Israeli peace.